Microsoft HoloLens mixed reality device – Inexhibit magazine’s test and review. Augmented Reality promises to be the “next big steps” in interactive technology, yet it has been so for – at least – the last decade, without never becoming a habitual complement of our everyday life, despite the intense efforts of big names of the digital industry, such as Google. Now its latest evolution is called Mixed Reality. That’s why the release of the first prototypes (called Development Edition) of HoloLens, the Mixed Reality visor developed by nothing less than Microsoft, has stimulated a great attention among tech enthusiasts and professionals from all over the world. 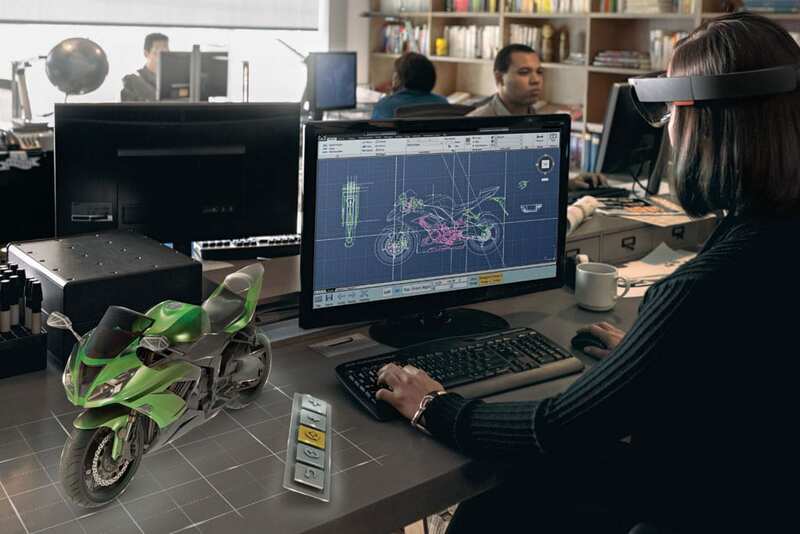 HoloLens is a technology and a software platform produced by Microsoft with the aim of offering a new generation of augmented reality solutions. In its usual meaning, Augmented Reality (AU) differs from Virtual Reality (VR) because it adds one or more visual, auditive, and/or gestural layers, digitally superimposed, to the physical reality around us. 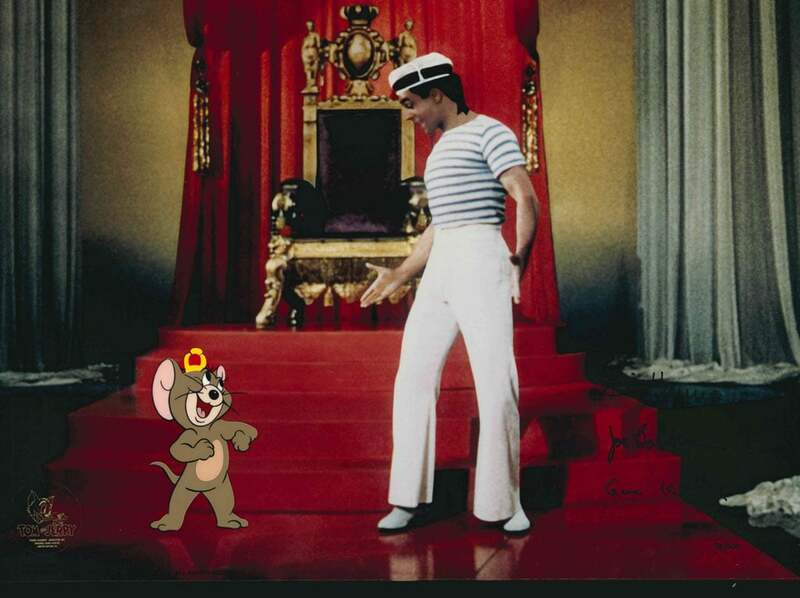 VR, instead, at least in its most extreme embodiments, is intended to completely replace physical reality with a fully coherent and self-sufficient artificial perceptive environment. 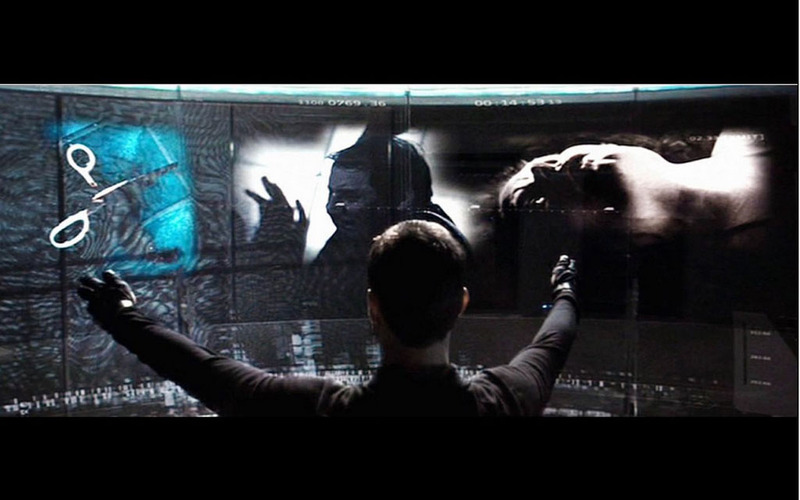 To cut a long story short, have you seen The Matrix and Minority Report? The first film depicts a VR-based illusory world, while the devices used by Chief John Anderton / Tom Cruise in the second are eminently AU. 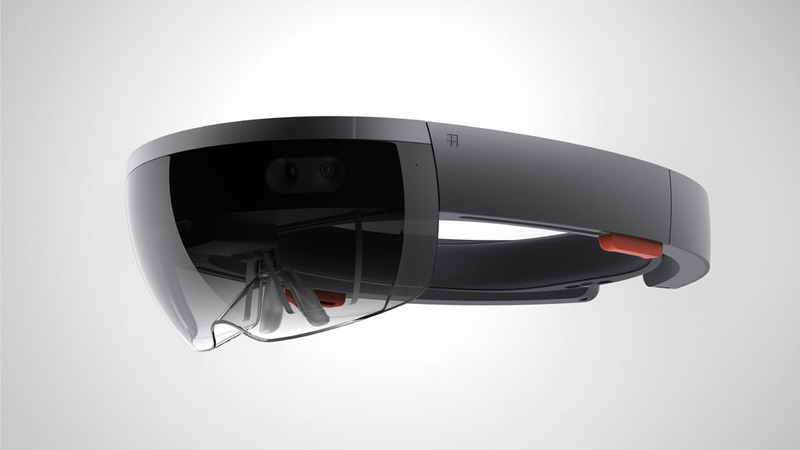 I have to point out that Microsoft defines HoloLens a Mixed Reality wearable device, rather than an AU one. In theory, while Augmented Reality provides an extra layer of digital information “stacked” over the physical reality, Mixed Reality combines or “merges” virtual and real worlds into a hybrid physical/digital environment. I must be honest, I deem this distinction quite spacious, and moreover substantially irrelevant for users. Thus I beg your pardon if I will use the two terms interchangeably from now on. That said, what makes an HoloLens AU device different from (and for Microsoft hopefully better than) similar unfortunate products such as Google Glass? By first, let’s begin from that tiny prefix, “Holo”. HoloLens devices are based on a visor composed of layers which provide a stereoscopic 3D real-time vision, through techniques based on holography. The technology behind the HoloLens device is still largely undisclosed; nevertheless, I can suppose it is not much different from that of helmet-mounted displays used by aircraft pilots. As far as I know, HoloLens is arguably based on a binocular viewing system which exploits surface relief grating (SRG) optical waveguides; namely, it’s a system which injects LED light into an array of total internal reflection transparent layers, extracting it in the desired area through a series of diffractive elements in order to produce visible images. This technology was originally developed in the early 2000s by Nokia, which Microsoft acquired in 2014. If you have ever made some experiments scratching the surface of a bare mono-filament fiber optic cable, you probably know what I am (simplistically) speaking of. Furthermore, the device set includes binaural sound reproduction, eye-tracking, gesture recognition, and accelerometer-based head-tracking. 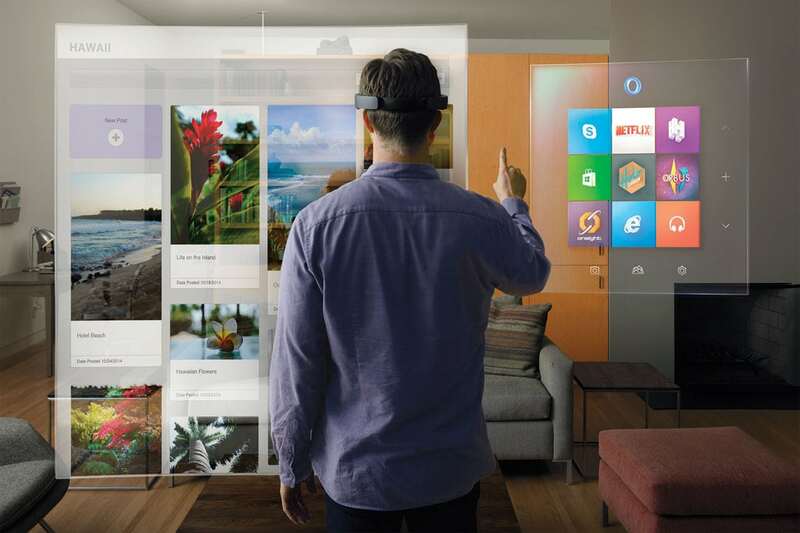 While Google Glass was clearly intended for web-navigation, entertainment, and leisure applications, Microsoft HoloLens is much more a business and professional oriented device. All the hardware required for HoloLens to work is embedded into the headset, which contains “more computing power than the average laptop”, as Microsoft proudly says. The headset does neither require cooling fans nor wired connections; it is “fully self-contained”, so to speak. In early June 2016, I had the opportunity to test HoloLens at the 15th edition of the Architecture Biennale in Venice, Italy. 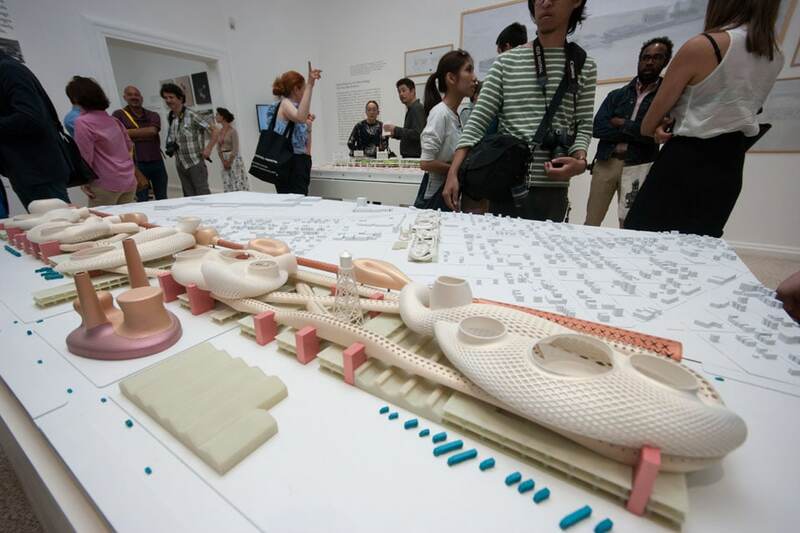 The set was part of the exhibition in the pavilion of the United States at the Biennale’s gardens; namely, it was included in the display of a speculative project for the Packard Plant in Detroit presented by Los Angeles based practice Greg Lynn FORM. 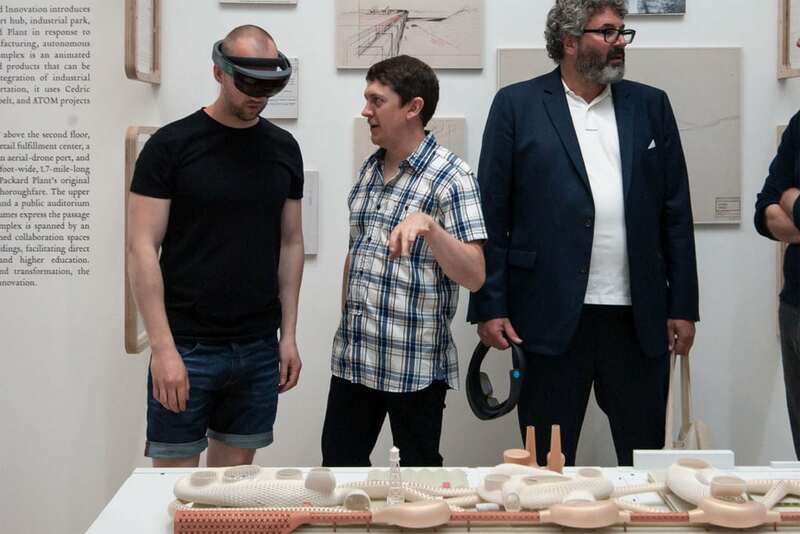 The installation was developed, along with the architects, by Microsoft and Trimble; the two companies have recently partnered to develop HoloLens-based solutions for the design & building industry. Despite two identical sets were available, my experience was necessarily limited in time (it lasted about 20 minutes), due to the many people asking to test the device. The visor is neither large nor very heavy; nevertheless, it was not an easy job to fit it around my head: I wear glasses, and the headset needs to be strictly firmed to the cranium through an adjustable plastic ring, which wasn’t that easy in my case. The program was to show how the device is able to make “interactive” an architectural scale model. Just after activating the HoloLens device, I saw on the visor a series of small “floating” 3D cubes superimposed on the physical maquette. In order to make the model interactive, you have to “air click” one of those virtual cubes by closing your thumb and index finger, a bit like as you were trying to pinch a fly winging in circles. After some attempts, I was eventually able to “activate” a specific part of the model and, by rotating my head, I could see a real-scale replica of the building’s inside, with shadows, textures, colors, and all the usual stuff of architectural virtual environments. The virtual scene was overlaid in semi-transparency (50% or so) upon the normal vision of the real room around me. Theoretically, you can move virtual objects and parts of the model so to get a more interactive experience; yet, to do this effectively, some training in using the gesture-based capability of the system is mandatory. The visual style of the 3D model which pops up in your visor was a bit “old-fashioned ’70 graphic”, to be honest; I don’t know if this was intentional or was simply due to some kind of technical limitations. My opinion is that, since the virtual reconstruction is superimposed to the real scene, it requires a minimum level of saturation and contrast to be perceivable in a bright room environment; subtle details and dimly colored images are simply too faint to be visible in such conditions for the average human eye. The area covered by the augmented reality reconstruction is not wide at all, you can see superimposed images only on a small portion of your field of view, some 30 degrees approximately; if you move your eyes out of this predefined area, the images simply disappear. So was the test disappointing? Not really. This is not conceived to be a fully immersive VR device, like an Oculus Rift, for example; it is rather intended to combine real and virtual together into a coherent whole. Furthermore, HoloLens includes an interesting, even if still a bit tricky, interaction based on natural gestures. Natural is the key-word, indeed. Historically, most VR and augmented reality devices have been quite tech-oriented, heavy and “muscular”, while the solution proposed by Microsoft is relatively simple, light-weight and “human-oriented”, so to speak. I can’t honestly affirm that my experience was either mind-blowing or very spectacular; nevertheless, I haven’t experienced that “fatigue” which is typical of all VR headsets; I guess you can wear this headset for hours. Letting gaming and entertainment aside, this could potentially be an ideal device for design-oriented applications, and in many fields related to medical sciences, industrial manufacturing, cultural heritage, and the like. In a nutshell, for serious applications, rather than for fun. That said, the technology is clearly still in an early stage of development, especially for what concerns image quality and interaction. Yet I can’t see any real technical impediment for Microsoft to improve those aspects in a reasonable time. Promising technology, no doubt. Nevertheless, it is still not a mature technology; moreover, the device is currently way too expensive for most small businesses. Yet, I really hope it will be further developed because there is something I like about it that I can’t rationally explain. Perhaps it’s due to the conceptual and perceptive “lightness” of Microsoft Hololens if compared to the technical heaviness and functional triviality of almost all currently available VR solutions. But, basically, what I appreciate the most is its being “seriously” oriented; HoloLens is a bit like a salmon swimming upstream in a context in which the term “digital revolution” has become for some companies a synonym for making easy money from a large number of digital native idiots. I really hope Microsoft will continue with this approach, we don’t need another gaming and/or frivolous web-navigation device smart people have clearly demonstrated they neither need nor want to buy. Additionally, HoloLens is not and probably will never be enough “eye-popping” to make the general public change its attitude towards this kind of devices, thus preventing Microsoft from an epic commercial failure. If further improved, it could and should become a useful addition to the digital arsenal of serious professionals, instead.